After a busy January with training camps and the South Island Champs, February almost seems like a break between the summer and the real orienteering season starting, as despite numerous local mid-week introductory events, the only goings-on at HP orienteering level have been somewhat in the background. Nevertheless if we look more widely at the scene there are excellent performances to report on from a variety of events, not least the 2019 Coast to Coast. Also some updates on what has been happening both globally and locally as we prepare for the major part of our competition season. As was the case last year in 2019 there will be two sets of trials for the JWOC team. The first of these is on the last weekend in March based in Auckland. This will also incorporate the second round of the National O League. The competition for places in the team for Denmark looks intense with, so far, 22 men and 19 women intending to line up. Saturday will be a sprint on a remap and extension of the Kings College/Otahuhu College map used for the ONZ Championships Sprint in 2015. Sunday’s long distance will be run in association with the third event in the 2019 Auckland Orienteering Series. This will be held up on South Head at Lake Rototoa, used for Oceania 2017 and at Queen’s Birthday 2018. First start 1pm. Triallists will be allocated start times. Others wishing to run in the Junior or Senior NOL race will be able to enter on the day and will be given start times after all the JWOC triallists have run. First start 10am. Again, triallists will be allocated start times. 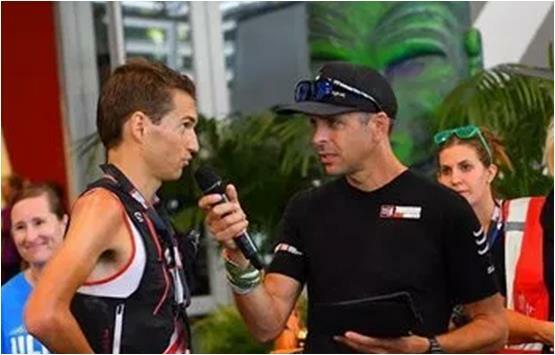 As this is an Auckland Series event those wishing to run the NOL race will be able to enter on the day and will be allowed to start only after all triallists. Full information and start times will be published a week before the event. The second set of trial races will, of course, be at the ONZ Championships at Easter. 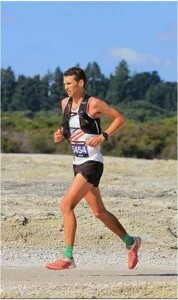 The HP training camp in Rotorua on the weekend of March16/17 will take in a mixture of terrain. The maps to be used include Whaka Forest, the wonderful sprint venue of Toi Ohomai (used ad CDOA last November) and rolling country of the Okere Falls map. Exercises are being planned by Gene Beveridge and a limited amount of accommodation has been booked. Any HP Squad members and associated who have not yet indicated that they will be attending are encouraged to let myself (MI) know asap. In the January HP News I wrote about responses given by athletes at the U23 Camp to various questions that they were posed about their orienteering experiences. One of these was about how much help they received from clubs/regions in terms of training opportunities, and the overall impression given was that the answer was “not much”. This produced expressions of surprise in some organizational quarters where the view was quite different – beauty is in the eye of the beholder I suppose. A recent Radio NZ interview about how New Zealand Rugby is advising provinces to do away with Under 14 representative teams made me reflect again on this issue. NZR’s advice is based on research which suggests that having competitive representative teams at that early age does not help to identify the future stars, and that many of those admitted to High Performance programmes at that age are the first to drop out. The premise is that it is better to offer coaching in skills to a much wider group out of whom the future stars will develop, albeit maybe a bit later. How does this relate to orienteering and the responses made by the U23 athletes? Consider that most juniors of school age experience orienteering almost exclusively at events – in other words in what is essentially a competitive environment where there is, generally, little opportunity for closely monitoring techniques and giving coaching feedback. How much more effective, and we saw this at the Wellington camp in January, is it to allow juniors regular opportunities for non-competitive training exercises where analysis and feedback on both techniques and mistakes is able to be given? Consider also the ratio of orienteering training exercises to races that many young athletes in Europe experience compared to what occurs in New Zealand. 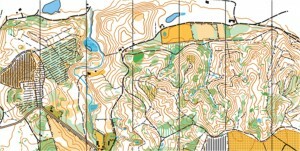 Magnus Bengtsson, who attended an “orienteering school” in Sweden commented that training days to races were in the ratio of something like 2 or 3 to 1. So, although clubs have to provide for a diverse orienteering community, perhaps we do need a bigger focus on training days rather than events. This might help to eliminate, even from the older part of the orienteering community, let alone the juniors, the experience of making the same mistakes over and over again and the struggle to improve and develop. To keep people in the loop reproduced above is the list of major Foot-O events for which ONZ requires athletes to be nominated and for which there is selection. The first of these (apart from WOC and JWOC for which deadlines have passed) is for anyone wanting to run at the first round of the IOF World Cup in Finland in June. The deadline for nomination for that is 1 April. This may seem a little early but is largely controlled by the data by which entries are required by IOF. It is only very occasionally that Drug Free Sport New Zealand (DFSNZ) turns up at an orienteering event to carry out competition testing. Apart from at WMOC in 2017, the most recent cases have been (to my knowledge) at sprint races at Oceania (2009) and the ONZ Champs (2014 and 2015). However, DFSNZ now seems to have discovered orienteering more generally and have asked to be (and have been) provided with a list of our HP Senior squad athletes complete with residential and “training” addresses. This ostensible reasoning for this is to enable “…no-advanced-notice out-of-competition drug tests which are the most effective anti-doping tool…”. One question which has been raised is how the provision of this information fits within privacy laws/regulations. The answer to this lies in the fact that it is covered both by New Zealand law and as a requirement for all members of IOF and sports recognized by SportNZ. Thanks to all HP athletes who promptly provided the necessary information. It will be interesting to see if, and when, any testing takes place. 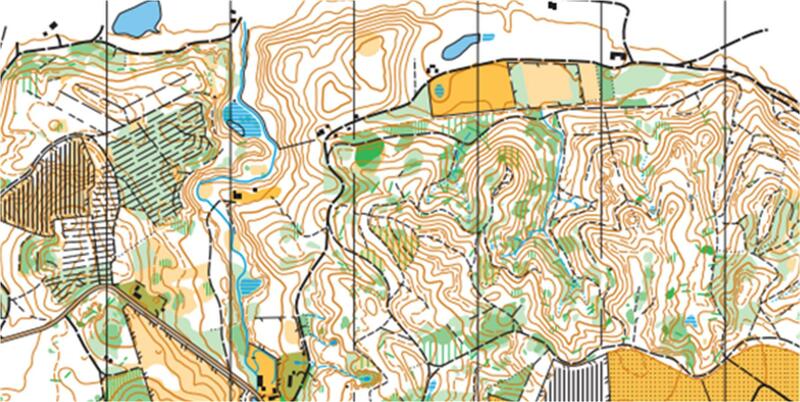 As of 27 February the IOF has unveiled a new website https://orienteering.sport although the old address of orienteering.org automatically redirects for the time being. The new site is intended to be easier to find the way around, and a quick look around suggests that this may indeed be the case although some of the links clearly still need to be finished. Nonetheless here is a short resume of what you may (or may not) find there which is potentially of interest to New Zealand. As those of you (anyone?) who are avid readers of the minutes of the IOF FootO Commission meetings will have seen, there were only two applications for JWOC2022. These were our own and one from Romania. Romania have hosted JWOC once before in 1996, but with JWOC having been in bordering countries Bulgaria, in 2014, and Hungary last year, we can perhaps be hopeful that IOF are indeed trying to spread the hosing of major events worldwide. The two bids are currently being evaluated but it looks as though there will be no decision before August this year. While forest WOC in 2021 will be in the Czech Republic, and sprint WOC 2022 in Edinburgh, there have been two bids for the subsequent forest WOC in 2023. These are from Finland and Switzerland. For those at the older end of High Performance future WMOC’s have also been decided with 2021 in Japan and 2022 in Italy. The minutes also present an interesting rule change for WMOC. At WMOC2018 there was quite a debate over the promotion and relegation rules which were applied following the middle distance final. Essentially, the single qualification race qualified athletes for both middle and long finals. However, the bottom 20% of finishers in the middle A final were subsequently relegated to the B final for the long distance, and replaced by the top 20% from the middle distance B final. In some grades this resulted in top qualifiers from the qualification, who happened to have a bad middle distance final, being relegated. For 2019 this rule has been amended so that top 4 finishers in the qualification heats are protected and cannot be relegated. Gene hanging in towards the end of the Tarawera Ultra. Traverse in a time of 1:59:59. A couple of weekends later there were major outings of orienteers in both the Tarawera Ultra and the Coast to Coast. In the former orienteers took both the Open and Veteran categories of the 50k race. Gene Beveridge’s overall winning time of 4:18:01 was just over 24 minutes faster than Darren Ashmore’s (4:42:43) with Darren being 5th overall and first vet (40-49). Meanwhile down in Canterbury Scott Macdonald had already finished in 9th place in the Longest Day (1-day Coast to Coast) in a time of 12:33:36 at the head of an impressive list of orienteers. About 40 minutes behind (13:10:44) was Brent Edwards (19th overall and 16th open man), with Georgia Whitla finishing in 14:35:02 as 12th woman and 55th overall. 11 minutes and 4 places ahead of Georgia was Riki Cambridge (14:35:02 and 42nd open man. In the two day event orienteers were at the top of the field in both the women’s race and the tandem (2 people running/cycling/kayaking together). Over the two days Selena Metherell’s 14:28:01 gave her 24th place overall and the women’s title. Calum Sutherland, paired with brother Cory, won the tandem 2-day class which garnered a lot of attention because of the presence of Richie McCaw in the field. Also in the individual 2-day field were Andrew Peat (110th overall in 16:27:40) and a really impressive feat by father Bruce who was 5th 60+ man in 19:08:36. Congratulations to all of the above, and apologies to anyone I have missed! Overseas the orienteering season is presently dominated by the warm-weather training camps that take place in Spain and Portugal during February. Tim Robertson for one has been training in the Canary Islands with his Finnish club, and Kate Morrison is in the field for the WRE middle distance at the Portugal O Meet. Lizzie Ingham, back in a somewhat colder Norway, posted an encouraging 10th place in a large field in the first major Swedish race of the season, a middle distance in sand-dunes near Kristianstad.